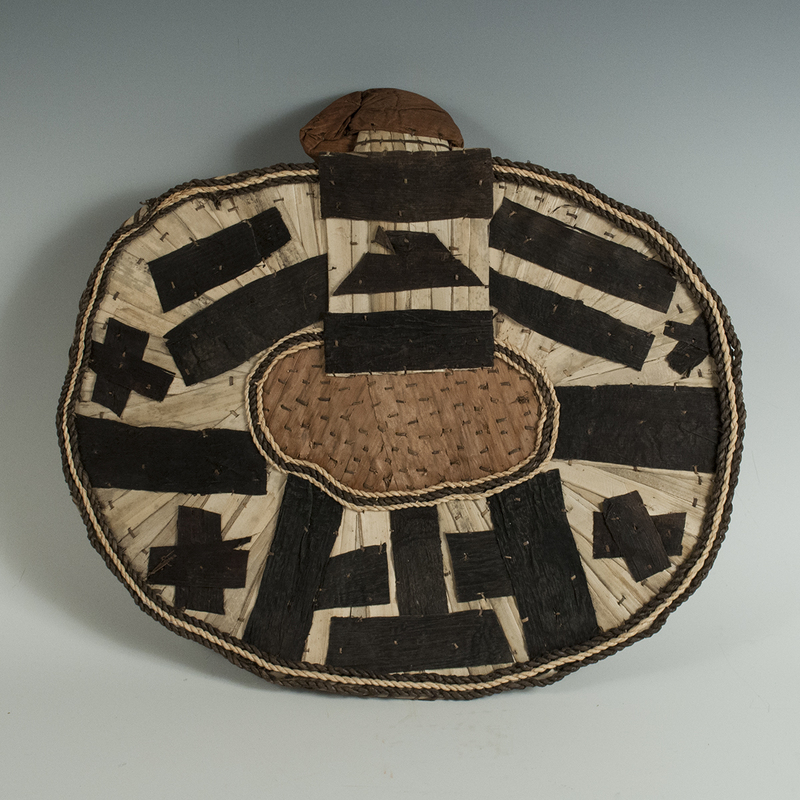 A graphic cache-fesse (back apron) or negbe from the Mangbetu of D.R. Congo. 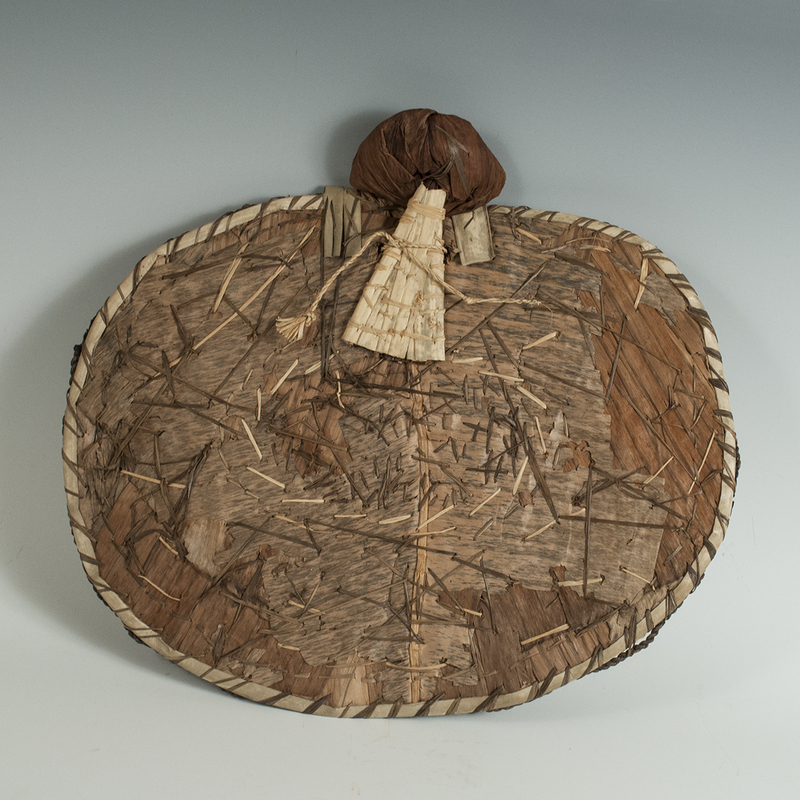 Made of fiber and banana leaf, these were worn by women as a fanny apron.